Space, space, space! We all want more of it. Whether it’s just an extra cabinet here or another bedroom and a yard there, a little more space never hurt anyone. Unfortunately, it’s just not that easy which means we have to make the best out of what space we do have. 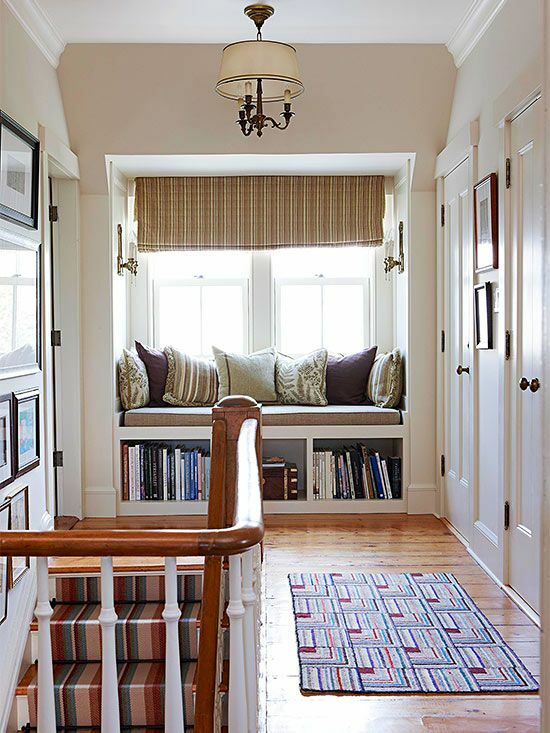 A smaller, or less desired, amount of space doesn’t limit design as much as you might think. When you are forced to get creative in a small space you tend to focus on what matters. In small spaces, it’s all about function. A room designed with function in mind will transform it into a flowing, livable space. Strip down the design and decor to the bare essentials. When you keep it simple with the essentials you can start to build up the space or keep it simple. Check out how these designers have used decor in smaller spaces and focused on the needs, not the wants. This week our Tuva-Luv comes from Liz! One of her store favorites is the dash & albert jute ticking indigo woven rug! The new, eco-friendly jute area rugs are instant style stars in goes-with-anything stripes. This rug is made out of 100% jute and ready to take on anything you throw at it. If you want to add this rug to your home, you can shop the dash & albert jute ticking indigo woven rug now! Do you want more store favorites and coastal home decor? Head to the Tuva-Luvs page! Thank you to everyone that came to our grand opening! We had a great time and we were so excited to show everyone the new store! For those that didn’t make it and still haven’t seen the store yet, here’s a couple images of the new space. We’ve got more goodies and decor for you guys and we hope you get a chance to stop by to shop the new space. Here’s to many more years of home decor and design in San Clemente! Want to stop by and see the new space? We’d love to see you at! Head to 222 N El Camino Real, San Clemente, CA 92672 and say hello! It’s Monday and it’s time for your Monday pins! 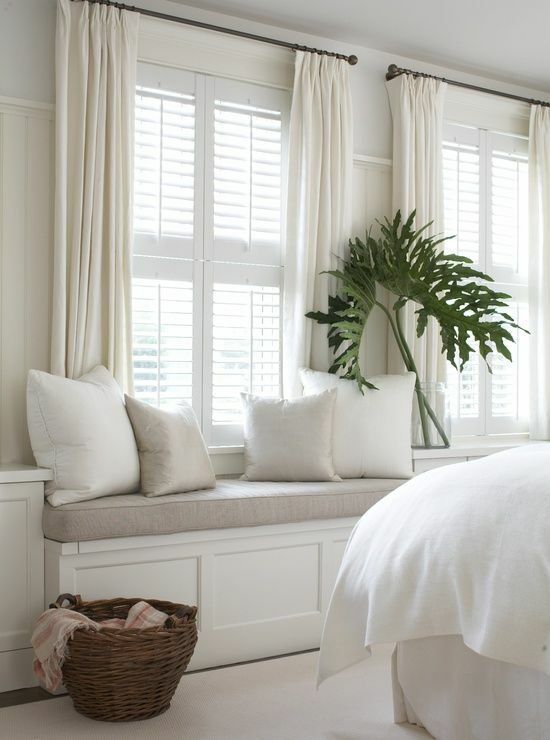 That’s right, we’ve got five more fresh pins for your coastal home decor Pinterest boards. So get those pin buttons ready and start pinning! We hope you have a good week and happy Monday! 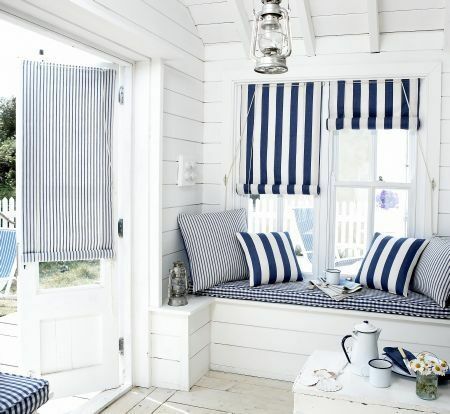 Are you looking for more coastal home decor and inspiration? Then head to the Tuvalu Home Pinterest! Tomorrow on Saturday, September 16th, come celebrate the new San Clemente store! The grand opening party of the expanded and larger store is tomorrow from 4-7PM! We will have food and beverages and we hope to see all of you there! 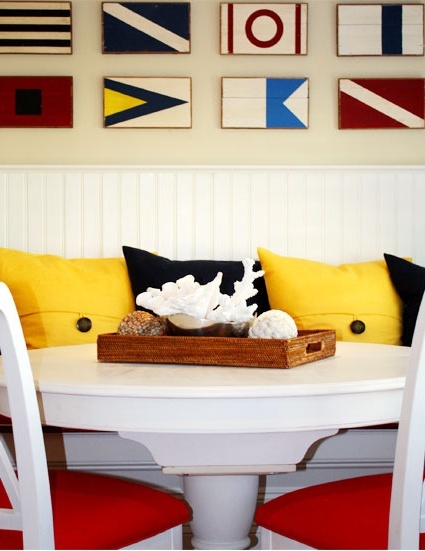 The nautical flag is no stranger to our blog or coastal decor. So it should not be a surprise that you see them on the blog today. These flags have been used in coastal homes for decor for ages. 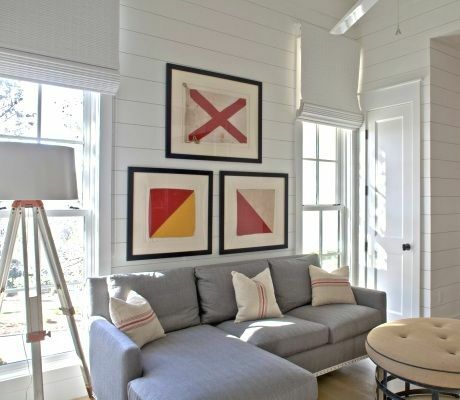 Nautical flags are great in any coastal home because they bring in bright colors and make covering the walls a breeze. Have you ever seen a boring space with nautical flags? No way! They’re too much fun to be boring! 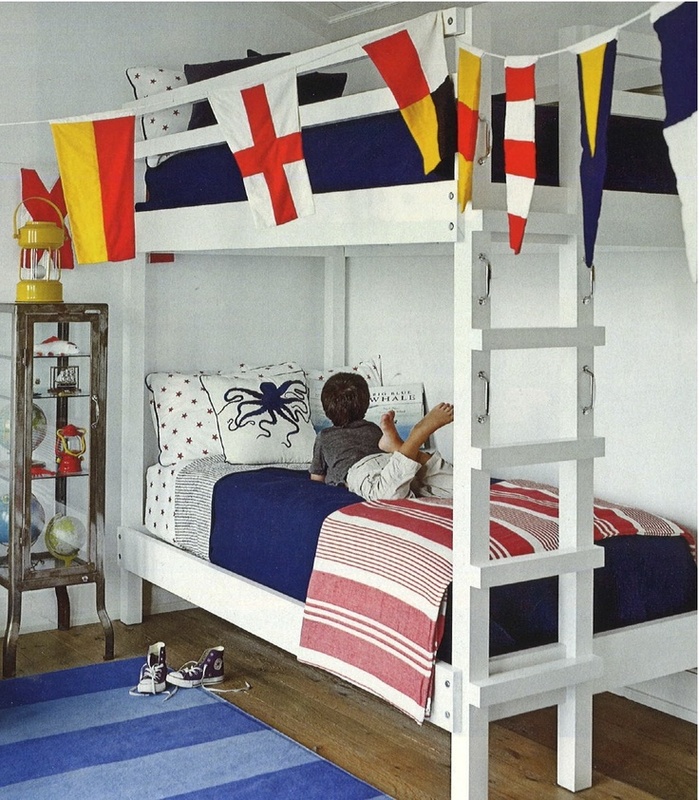 Check out how these designers have decorated with nautical flags in each space. 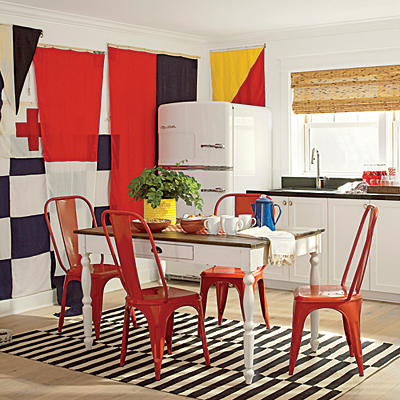 They infuse the bright and bold flags into the decor with ease. 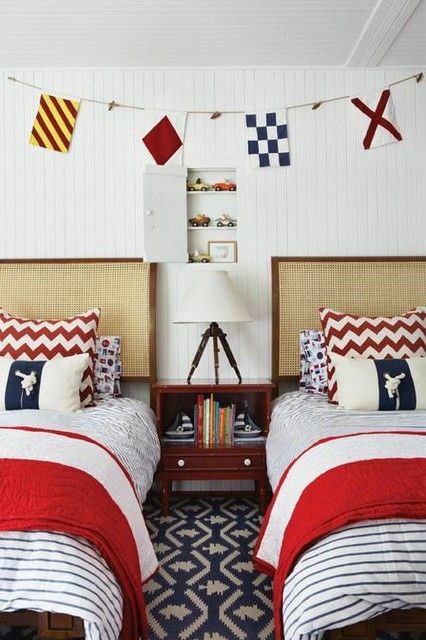 Take notes ladies and gentlemen because this how you design a space with nautical flags.